Proteins represent some of the most complex individual structures in any of the sciences, and there are a wide variety of ways to represent them. At Miramodus, we can help you to select and create the most appropriate style of model for your needs. 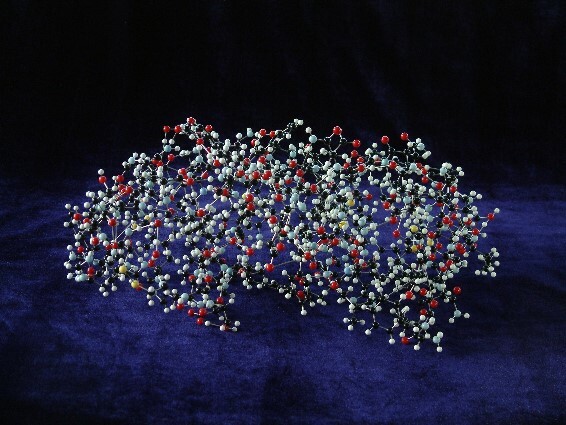 For small proteins, that may involve a 'whole atom' model - using a conventional molecular model building approach to represent every atom in the structure. Realistically - at least on cost grounds - proteins the size of an insulin trimer become the upper limit for this style of model for most customers. 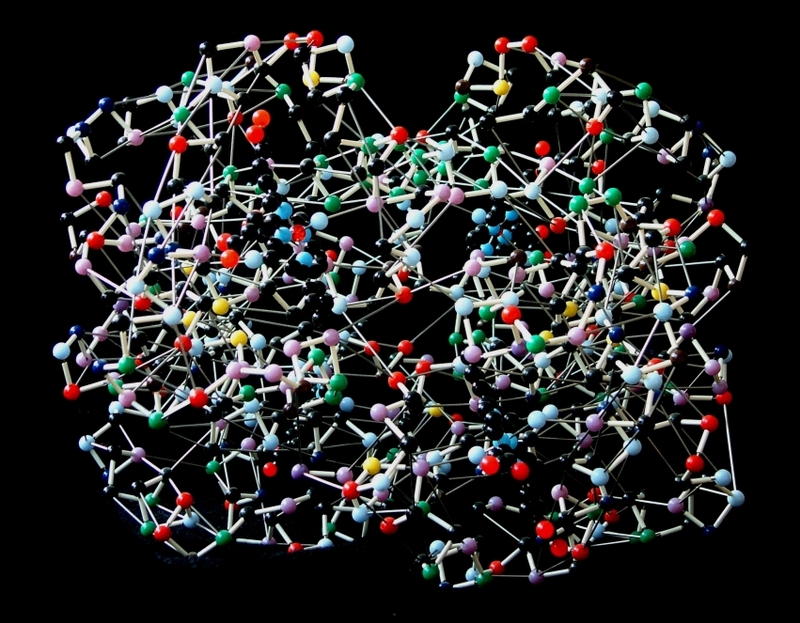 For intermediate sizes of proteins, the whole-atom models may be reduced to a similar style of ball-and spoke model, but only including the positions of the α-carbon atoms. 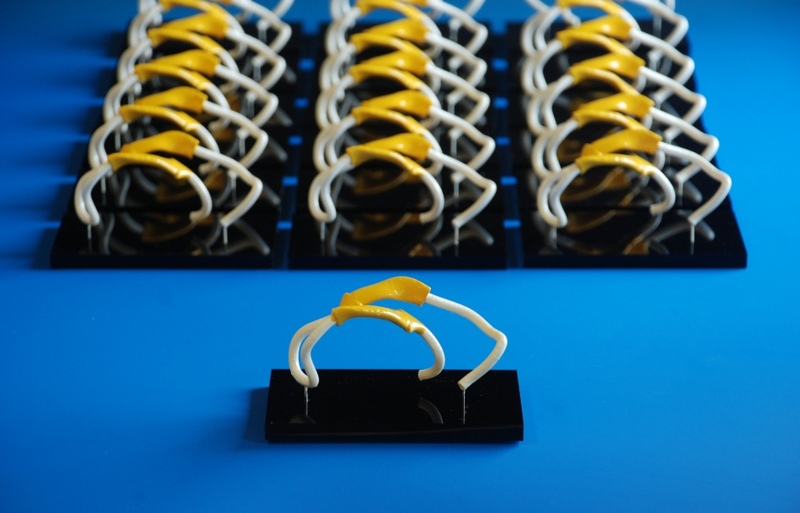 "Direct" connections between α - carbons are emphasised by the use of coloured plastic sheating around the bonds, all other connections (such as H-bonds between residues) are indicated by polished steel wire connections. 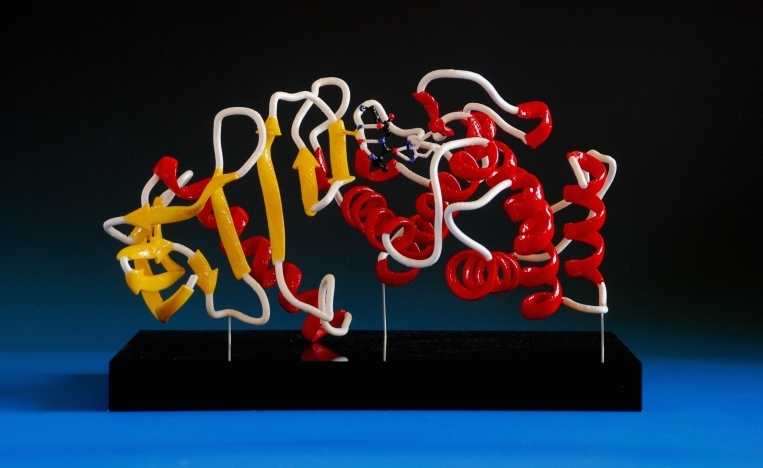 All types of proteins may be represented by ribbon structures, but for large protein structures they are now essentially the only option. Advances in 3d printing make these models possible, but they still require expertise in design and implementation to obtain the high standard of models that you see here. 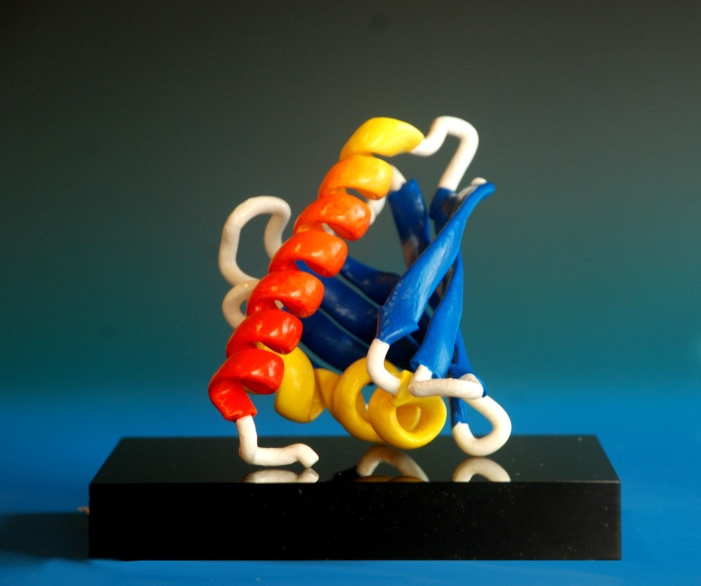 For any protein model, please contact us to discuss your needs.